On Sunday, March 20th 2011, the 2010/2011 Nordic ski season came to a close. 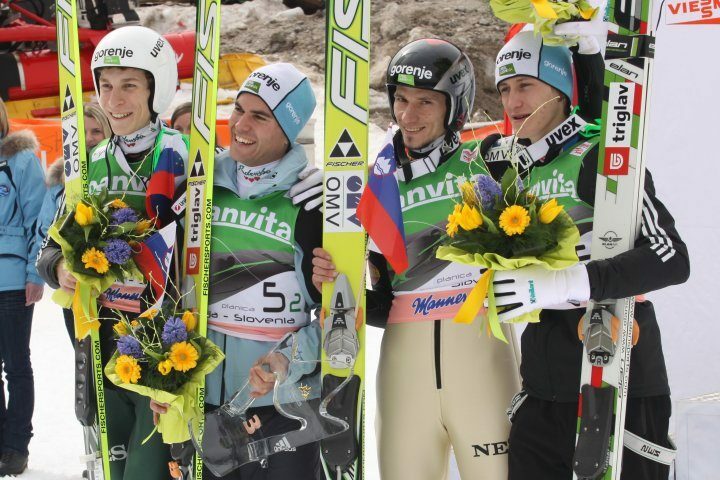 In Planica, Slovenia, Slovenian ski jumpers won bronze in the team event and Robert Kranjec won silver in the individual competition. At the last event in cross country world cup in Falun, Sweden, Petra Majdič finished the last race of her professional career. Before that, she had won the third sprint category Crystal Globe of her career with her fourth victory this year on March 16th 2011 in Stockholm, in the classic style sprint event. Last weekend, the 2010/2011 Nordic ski season came to a close. In Planica, Slovenian ski jumpers won bronze in Saturday's team event and on Sunday, Robert Kranjec delighted the fans by winning silver in the individual competition. On Sunday, however, the spotlight was on one of Slovenia's all-time best athletes, Petra Majdič who finished in Falun, Sweden, her last race of the career, coming in ninth. In her fruitful career, Petra saw 24 victories at the highest level, finished first in the overall World Cup sprint standings three times, and won an unforgettable Olympic medal. Her vast popularity resulted in three titles of "Athlete of the Year" and a "Slovenian Woman of the Year" award this year.